At Polwarth Dental Clinic in Edinburgh, dental implants are a safe and modern way to replace missing teeth. They ensure the natural strength of your jawbone is not diminished by the gaps in your smile, and provide a great looking remedy that feels truly stable. The first thing you might wonder is: what’s wrong with normal, removable dentures? Plenty of people seem to get along fine with those. But while this is true, this sort of removable replacement doesn’t provide the integral support that comes with having dental implants in Edinburgh at Polwarth Dental Clinic. The key to this support is the use of small titanium posts – the dental implants – that are placed into the jawbone. These posts encourage new bone and blood vessels to grow around them, meshing with the titanium much like they did with the roots of the missing teeth. So when the replacement teeth are fixed onto these posts, the natural strength of the jaw can be used in biting and chewing. You won’t have to cautiously choose soft or mushy foods for your meals. These permanently fixed replacements are also easier to clean, as you don’t need to take them out and scrub them as you would traditional dentures. You simply diligently clean your teeth as you normally would. In addition to this, the implants help to maintain the structure of your face. You’ll probably be familiar with the ‘sunken’ look that makes wearers of removable dentures easy to spot. With modern implant dentistry, this confidence-sapping alteration in your facial appearance will be avoided, as your jawbone is kept strong and healthy. You can start to take advantage of the long-term improvements of dental implants whatever the extent of your tooth loss. You might have lost several teeth over a long period of time, making biting and chewing an unpleasant task. Or you may have just a gap in the front from a sporting injury. In Edinburgh, dental implants are a safe and stable solution to these situations and many others like them. 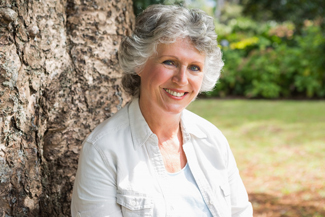 Get in touch with the team at Polwarth Dental Clinic to hear more about how dental implants will protect your overall oral health, while restoring your day-to-day confidence. This entry was posted in Dental Implants on 21st June, 2017 by Polwarth Dental Clinic. If you’ve damaged one or two teeth by accident, or if you suddenly begin to experience severe toothache, it is very important that you see a dentist as soon as you can. Whether a tooth is chipped, broken, or knocked out completely, the best thing to do is to seek treatment quickly. Severely affected teeth may be extracted, and the dentist will discuss suitable implant treatments. Dental emergencies can come in many forms. You might have a chipped tooth, a lost filling, an abscess, a broken crown, a worrying facial swelling, or the severe discomfort of an aching tooth. Whatever it is, the team of dental professionals at Polwarth Dental Clinic have the experience necessary to put you at your ease. We always attempt to provide a solution on the same day we see you. We endeavour to quickly establish a treatment that leads to effective healing. By minimising the risk of future complications in this way, we look after your long-term dental wellbeing. When you ask Polwarth Dental Clinic to provide you with an emergency dentist in Edinburgh, we will do more than just repair the damage. We will also preserve your remaining tooth structure where possible, reduce the risk of infection in your mouth, and make a long-term improvement to your overall oral health. So don’t delay, call today if you have a dental emergency. This entry was posted in Emergency Dentist on 19th June, 2017 by Polwarth Dental Clinic. Here at Polwarth Dental Clinic in Edinburgh, dental implants make up an increasingly large percentage of our tooth restoration work because they work like natural teeth. In fact, once they are in place, no one but you can tell they aren’t real, both in how they look and how they perform. Dental implants not only replace the crown but also the root of the tooth. This is not the case with dentures, which sit on the gums, and bridges which are held in place by being fixed to neighbouring healthy teeth. In fact, the root part of dental implants actually becomes a permanent part of your body, meshing with your jawbone tissue during a healing period that takes a few weeks. 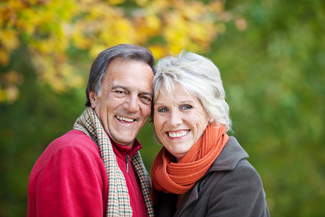 If you take good care of them, dental implants in Edinburgh can last for the rest of your life. They can’t rot like natural teeth because the porcelain from which the crowns are made is impervious to the decay. All you have to do is make sure you keep the gums around the implants free from gum disease with careful brushing and flossing. Dental implants keep the surrounding teeth in place, stopping them from twisting or dropping due to the gap left by the missing tooth. The stimulation they provide in the jawbone ensures further gum and bone erosion is prevented. When you come to Polwarth Dental Clinic, we will use scans and x-rays to gain an in-depth picture of your mouth, teeth, jaw and bone structure, as well as nasal cavities and sinuses, so that we can work out what treatment you will need. They also help flag up other issues before surgery, so that we can make sure that receiving dental implants in Edinburgh with us runs as smoothly as possible. Your treatment journey with us will probably last at least a few months. Although it only takes an afternoon to have the implants inserted, it will take some time for them to integrate with your jawbone, before you come back for the custom-made crowns to be fitted. These will match your own teeth in size, shape and colour so that they blend in seamlessly. This entry was posted in Dental Implants on 14th June, 2017 by Polwarth Dental Clinic. It’s no fun as you start getting older and discover that bits of you no longer work as well as they did. It’s even worse when they don’t work at all because they’ve either fallen out or been removed. Bits of you, like your teeth. When they go, you face being consigned to a life of wobbly dentures, soft food and a face that looks old before its time. But in Edinburgh, dental implants are a better option than dentures and bridges for people who have lost one or more teeth; maybe even all of them. In Edinburgh, dental implants differ from dentures and bridges in that they are permanently fixed into the jaw bone. Getting implants requires a surgical operation, performed here at Polwarth Dental Clinic by dental surgeon Dr Willie Jack. Willie will firstly sculpt a new socket in your jawbone, and then insert a tiny titanium post (the dental implant) into it. You then go away for a few weeks while the bone and gum heal around the dental implant. During this important stage, new bone tissue and blood vessels mesh with the screw, anchoring it firmly into your jaw. 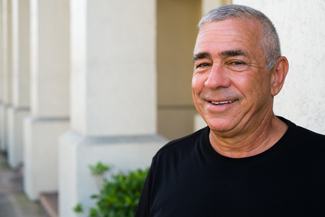 Once this vital part of the process is complete, Willie can screw a new tooth, bridge, or even a whole new set of teeth, onto the dental implants. He will have ordered new, artificial teeth made to blend in with each patient’s particular tooth colour and shape. Dental implants have several benefits, which means that more and more people are asking us for them before dentures or bridges. Health-wise, because dental implants encourage bone and gum growth, you can maintain or even regain a firm look around the jaw and mouth. Missing teeth encourage the jawbone to resorb and the gums to recede. This is how people get that sunken, aged look when they’re not that old. Secondly, in Edinburgh dental implants behave just like natural teeth. You do not remove them to clean them, and you don’t have to worry about getting food stuck, or having to avoid certain foods. You can treat the implants like your own teeth: eat what you like, and clean and floss as usual. This entry was posted in Dental Implants on 12th June, 2017 by Polwarth Dental Clinic. Once you have decided to go ahead with dental implants in Edinburgh with Polwarth Dental Clinic, it is time to take the next steps. We are committed to supporting you at every stage with reliable care, detailed information and advice. Our friendly, professional team is standing by to help you restore your missing teeth in a way that is as comfortable and easy as possible. During your initial consultation, the dentist will discuss the possibility of preparatory work with you. If you do not need any, you can go straight ahead with the dental implant surgery. If you do, it’s nothing to worry about and is quite common. There are a number of possible procedures including extraction and/or some form of bone graft. Extraction involves having teeth or the remains of teeth taken out. You would not necessarily have teeth removed if they are healthy. Your dentist might recommend extraction of teeth that are nearing the end of their useful life. When this is done, there may be a short interval before you have dental implants fitted. During this time, any infection in the tooth socket will resolve and the gum will heal over fully. Dental implants are known for giving people smiles that look just like real teeth. Your dentist will do everything possible to create that for you. If you have had any adverse changes to the bone of your jaw around the site of a recent tooth extraction, usually caused by infection or trauma, there may not be enough bone left to fully support a dental implant and the overlying gum. In this case, animal-derived bone & collagen can be used to provide a scaffold for the bone of the jaw to regenerate, to grow into. Also occasionally there isn’t adequate height of bone under the maxillary sinus (the air space in your cheek) and once again animal-derived bone & collagen can be used to increase the height of bone so it is adequate to support a simultaneous or delayed placement of implants. When you have dental implants in Edinburgh with Polwarth Dental Clinic, we do everything possible to prepare you so you have the best chance of a successful procedure. This entry was posted in Dental Implants on 2nd June, 2017 by Polwarth Dental Clinic. There are dental problems that occur suddenly and randomly, which call for immediate attention. That’s when you’ll be in need of an emergency dentist in Edinburgh. You’ll be glad to know that Polwarth Dental Clinic provides such dental care. We will alleviate your pain and help repair whatever injury you have sustained to your teeth. What do we offer when a dental crisis strikes? There are a broad range of issues that our emergency dentist in Edinburgh is equipped to deal with. The majority of these problems are unforeseeable and when they strike can often leave you anxious and scared. We can provide you with the treatment that you require. The most common problems our emergency dentist in Edinburgh deals with is cracked teeth, damaged braces, fully or partially knocked out teeth, painful toothache, as well as swelling and bleeding. Each problem requires a different treatment and period of healing, which in some cases will need several appointments after your initial visit. However, during your emergency dental visit, we will make sure that you receive pain relief if needed, that the area of damage is sterilised to prevent infection, and that any repairs possible then and there are carried out. If you find yourself in need of emergency dental care, call our dental practice as we offer same day treatments to both members and non-members of our practice. The cost for getting treatment from our emergency dentist in Edinburgh will depend on your status as a member of our practice. If you are a low-income patient you will be provided with financial aid to help you spread the costs. With our caring approach and attention to your dental needs, you can rest assured that you will be in safe hands. We will strive to make sure you are free from pain as soon as possible and will let you know exactly what’s going on to help put you at ease. So when a dental crisis arises, don’t hesitate to call us. Immediate treatment will save you from further dental damage later. This entry was posted in Emergency Dentist on 31st May, 2017 by Polwarth Dental Clinic. Treatment plans vary from person to person even if they are all having the same dental procedures. When it comes to dental implants in Edinburgh with Polwarth Dental Clinic, the number of possible variations means that you need a personalised treatment plan before you begin so that you know exactly what will happen. Your plan will include a schedule of appointments and a breakdown of costs to help you to prepare and to budget. This is also when your dentist will use digital technology to plan the placement of your implants according to the circumstance in your mouth. In order to withstand the forces of chewing, your dental implants are, ideally, placed where the jawbone is thickest. A lot of research has been done about the various pressures applied when you use your teeth. Dental implant placement utilises this knowledge to make them more efficient and less likely to fail. Your first consultation, when you have dental implants in Edinburgh, is a good time to exchange information with your dentist. Ask any questions you need to. They will ask you questions to build up a complete picture of your requirements. The level of detail you want to receive about your procedure is up to you. The dentist will, at a minimum, outline what will happen and when so you can prepare yourself. If you want to know more, just ask and they will be happy to discuss the treatment in more detail, show you before and after pictures of previous patients and even show you some of the equipment involved. There may be a preparation phase at this point which is perfectly normal. At a minimum, it will include getting yourself ready for surgery by stocking your kitchen with nutritious foods that you will be able to eat. Look at any painkillers recommended by your dentist before your surgery and ensure you have enough to meet your needs. You may also want to tell friends and family and, where applicable, take a little time off work. You may also require some physical preparation. Extractions are common prior to dental implants. This is where your dentist removes the remains of any old teeth and/or any teeth that are on the verge of deteriorating beyond their usefulness. This entry was posted in Dental Implants on 29th May, 2017 by Polwarth Dental Clinic. Call your emergency dentist in Edinburgh, at Polwarth Dental Clinic, as soon as you can if you think you need urgent treatment. If necessary, you can ask someone else to call for you but ensure they have all the details to pass on to the dentist. Dental emergencies include times when you think you might lose a tooth, when you are in intense pain or if there is a lot of blood coming from anywhere in your mouth. If you have other injuries, have sustained a blow to the head or you think you might be sick in a way that is unrelated to your tooth, call your doctor or visit your local A&E who will take care of you. When you call the emergency dentist in Edinburgh at Polwarth Dental Clinic, the first thing we will do is take information about the issue you are having. We may be able to give you advice and reassurance over the phone. Particularly in the case of a lost tooth, the right advice and action early on can greatly increase your chances of being able to keep the tooth. We may also be able to recommend painkillers that will help to alleviate discomfort in the short term. At Polwarth Dental Clinic, we understand that dental emergencies can be distressing, particularly if you are in pain. We see you on the same day that you call so you do not have to wait. All dental issues benefit from being seen as quickly as possible. The conditions in your mouth change rapidly and the necessity for extensive work often becomes greater as time goes by. Your first appointment with Polwarth Dental Clinic will usually cost no more than £70 and leave you either pain-free or on your way there. If you need follow-up treatment, we will book this with you on the day that you come for your emergency treatment, if this suits you. Our skilled team have a range of qualifications and specialities between them so we can address complex issues if required. We will also do our best to prevent you having similar issues in the future, if possible, with routine dentistry, preventive care and excellent advice. This entry was posted in Emergency Dentist on 26th May, 2017 by Polwarth Dental Clinic. Losing your teeth to physical injury or poor dental health can leave your confidence significantly knocked. Dentures have long been available to treat the problem of tooth loss, but nowadays dental implants are increasingly considered a better alternative to dentures. In Edinburgh, dental implants are available at Polwarth Dental Clinic. We provide this clinically proven treatment to restore the loss of one, several or all teeth. 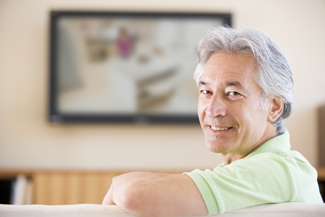 Dental implants in Edinburgh are often viewed as a scary and time consuming treatment. For this reason, it is important to consider what your treatment will be like before deciding if this procedure is right for you. For starters, dental implants consist of 3 different parts: a metal screw inserted into your jawbone known as an implant, the fake tooth known as a crown, and the metal abutment that connects the implant and crown together. Before your treatment begins, we will go over the specifics of your treatment plan so you will know exactly what you’re getting when it comes to dental implants in Edinburgh. Treatment involves a minor surgical procedure that takes a couple of hours, depending on how many teeth you have lost, as this determines how many implants you’ll need. Just one dental implant can hold multiple replacement teeth. After your surgery, depending on how stable the implants are, our dentists will decide whether the crown will be fitted immediately or as is more common, after a couple months of healing. The lengthy and intimidating nature of dental implant surgery leaves many fearful of choosing this treatment. However, it is worth knowing that implants are an effective and enduring means of having your teeth replaced. Like natural teeth, the lifespan of a dental implant is as long as you properly care for it. This means routine dental check-ups, hygienist cleanings, and brushing and flossing at home. With your dental implants in place, you can look forward to eating a full range of foods again, smiling with confidence and avoiding jawbone deterioration and gum recession, which is common with untreated tooth loss. If you would like to enjoy the lasting benefits of dental implants in Edinburgh, simply get in touch with our friendly practice. This entry was posted in Dental Implants on 24th May, 2017 by Polwarth Dental Clinic. If you need to see the emergency dentist in Edinburgh at Polwarth Dental Clinic, we are happy to help. We offer a same-day service and will see you as soon as is practical. Where possible, we limit the fee for your first visit to £70, so you do not delay seeking help due to worry about costs. One of our team can talk to you on the phone initially to assess your needs. They give you advice on any actions you can take to help alleviate pain or worry about losing a tooth. There are several common reasons why people need to see an emergency dentist in Edinburgh. Please bear in mind that if you have sustained other injuries, had a blow to the head or are suffering from any other non-dental symptoms, you should see a doctor first. There are two grades of tooth loss. You can either have an avulsed tooth or an extruded tooth. The former is when your tooth has been knocked out completely, the latter is when a tooth is still partially attached, even if it is only by a few threads. Both situations require you to see a dentist as soon as possible to give yourself the best chance of saving the tooth. If possible, push the tooth gently back into position. The root is a living thing and it is more likely to survive in its native environment. If this is not possible due to excessive pain or other factors, place the tooth in milk and call your emergency dentist in Edinburgh right away. Do not put your tooth in water. If you have dental pain, either from an accident or the rapid onset of an issue like an abscess, this usually qualifies as a dental emergency. One of the best ways to prevent the latter situation is to keep up with your regular dental checks. Routine dentistry is the surest way to avoid seeing the emergency dentist in Edinburgh. When you come to see us at Polwarth Dental Clinic, we are sensitive to the traumatic impact of dental issues. Our team will take care of you and ensure that you are, at least, on your way to being pain-free before you go home again. This entry was posted in Emergency Dentist on 22nd May, 2017 by Polwarth Dental Clinic.